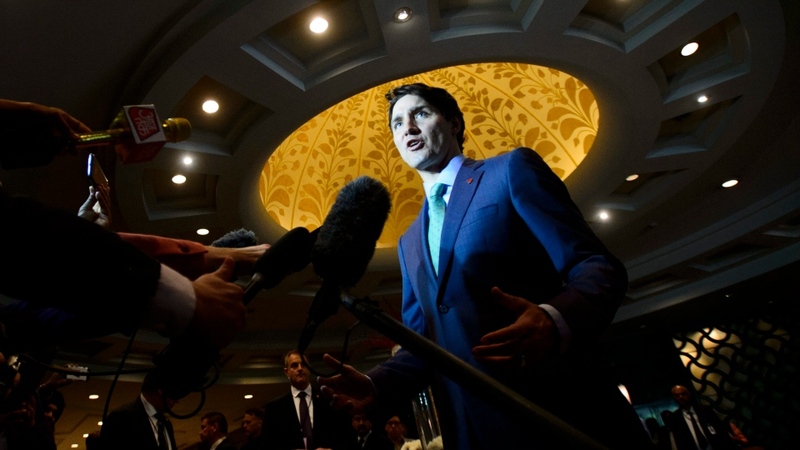 OTTAWA -- The stunning oversight that allowed a man convicted of attempted murder to be invited to a party in New Delhi with Prime Minister Justin Trudeau is rocking Canada's ties with India just as the government is trying to boost trade in Asia. "How could the RCMP, how could the PMO, how could the high commissioner -- how could all three of them -- be blind to this?" In a statement, Sarai said he takes full responsibility for his actions. "I apologize without reservation for my role in this situation, which has become an unfortunate distraction from the work, achievements, objectives of the prime minister and his team during this historic trip to India," he said. "Let me be clear -- this person should never have been invited in the first place. I alone facilitated his request to attend this important event." David Hyde, a Toronto-based security and risk management specialist, said either the RCMP dropped the ball in properly vetting the guest list, or they were given a false name that didn't raise a flag. "To me, it's pretty unconscionable that it would happen," Hyde said. Trudeau had to profess his support for a united India after meeting with the chief minister of Punjab, who had accused the prime minister of appointing Sikh separatists to his cabinet. And some critics insist Trudeau is being snubbed by Indian Prime Minister Narendra Modi, even though the two are to meet on Friday. Modi tweeted Thursday that he is looking forward to meeting Trudeau and that he appreciated "his deep commitment to ties between our two countries." However, Trudeau got some back-up Thursday from NDP Leader Jagmeet Singh. Singh -- who has faced criticism for failing to unambiguously denounce Canadian Sikhs who glorify the mastermind of the Air India bombing -- said Indian complaints about Canada or its politicians shouldn't be taken as gospel. "I reject the baseless attacks against Canadian cabinet ministers and we should be wary of any international interference in our political affairs, especially when it's targeted at minorities such as members of the Sikh community," Singh said in a statement. As for Atwal, Singh said: "There are a lot of questions here including how this individual was granted admission into India after being convicted of shooting a member of the Indian government while at the same time many, including myself, have been barred entry into India for speaking out about human rights."